One4all - Configure from VGA to 5MP! Home Media Press releases Archive One4all - Configure from VGA to 5MP! 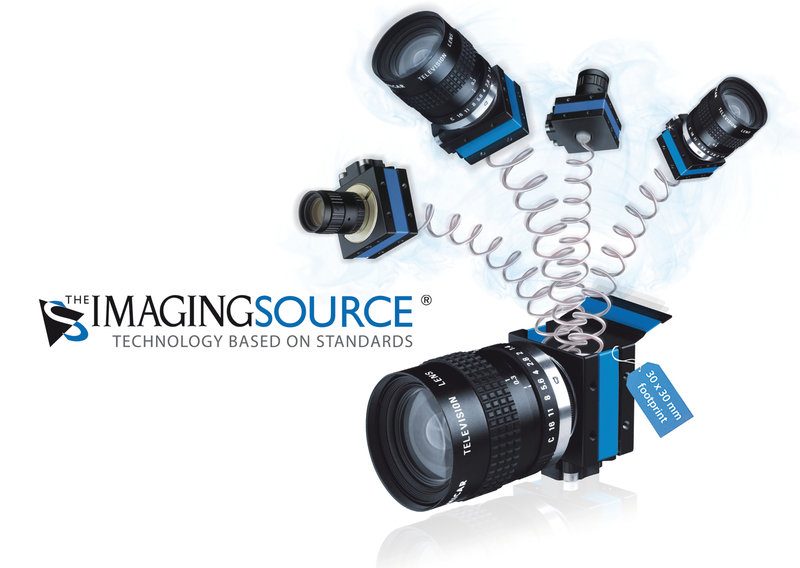 ⋯ (June 10, 2010) - The Imaging Source, an international manufacturer of cameras for industrial image processing, has just announced a new series of ultra compact CMOS cameras. Using the shipped software, you can configure the cameras precisely to the requirements of your application, by setting their resolution and frame rate. The new cameras are available for only EUR 299.00. All standard resolutions from 96x96, via Full HD to 5 megapixels and frame rates from 6 FPS to 200 FPS can be configured. Additionally, it is possible to set the sensitivity from 1.4 V/lux-sec to 14 V/lux-sec, without changing the exposure time. These industrial cameras are shipped in an ultra compact (36mm x 36mm x 23mm), robust aluminum housing and are available as monochrome and color variants, with or without an IR cut filter. The cameras come with USB 2.0 and do not require any additional power supply. Optionally, the cameras are available with a trigger input and digital I/Os, making them ideally suited to machine vision, automation, quality control, medical, logistical and security applications. The software support fulfills the desires of the most demanding programmers and end-users. Drivers for LabView, HALCON, DirectX, TWAIN and WDM are shipped as standard. All camera functions can be set by software. In addition, a number of automatic modes are available, which guarantee the optimal image quality even in varying lighting conditions. What's included in the box: Camera, driver for Windows XP/Vista, Windows 7 (32 bit and 64 bit), IC Imaging Control 3.1 SDK (.NET and C++ class library) and IC Capture 2.1. IC Capture is a powerful end-user application, which can be used to set all camera parameters and to display and save singular images and image sequences.